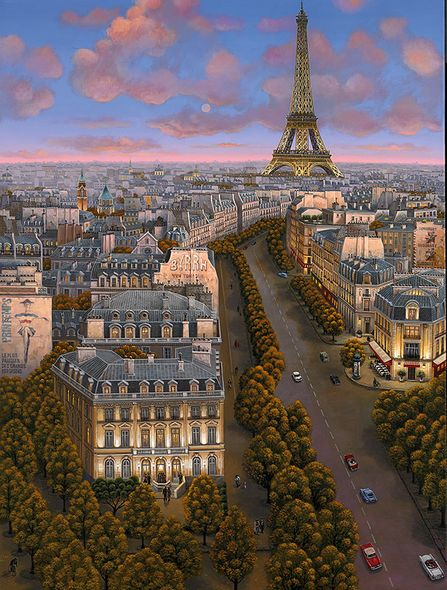 Home | Serigraphs and Giclee Fine Art | Liudmila Kondakova Parisian Art | Liudmila Kondakova Hand-signed and Numbered Limited Edition Canvas:"The Magic Hour (Paris)"
Liudmila Kondakova Hand-signed and Numbered Limited Edition Canvas:"The Magic Hour (Paris)"
Edition: Limited; Artist Hand Signed and Numbered with COA.. Medium: Canvas Digital print with hand-made serigraph texture plates. Home | Fine Art Prints & Limited Editions | Gallery Direct Art is your Authorized Chalk & Vermilion Dealer | Liudmila Kondakova Parisian Art | Liudmila Kondakova Hand-signed and Numbered Limited Edition Canvas:"The Magic Hour (Paris)"